Reporter or advocate and apologist? 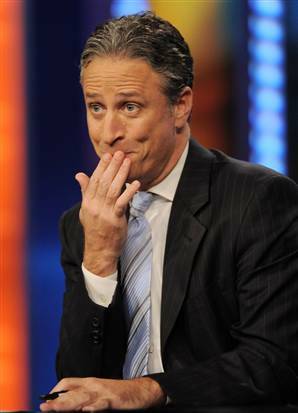 John Stewart reacts to watching Global TV’s News Hour Final on June 15. Stewart was expecting to hear a report on the BCR/Liberal Corruption Trial underway in BC Supreme Court and still featuring premier Gordon Campbell’s Chief of Staff Martyn Brown. For some reason, there was no report from court. Instead, using his expertise and experience of in-depth reporting on thoughtful, provocative content, Global’s chief political reporter Keith Baldrey was in Comox, looking behind the headlines. As a result, Global TV gave us Baldrey’s hard hitting feature on a middle school yearbook controversy, something about one student’s picture missing from the school annual. Many news consumers might expect the chief political reporter at the province’s highest rated TV news operation would have more than a passing interest in an ongoing trial that disgraces the governing party and may even end the Premier’s career. Of course, Baldrey’s unwillingness to cast the Liberals in a negative light has been highlighted before. 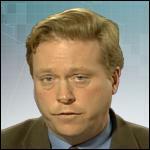 Charlie Smith at the Georgia Straight asked whether or not full-time political reporters ought to accept speaking fees from groups that lobby government or even from government itself. A Ministry of Labour and Citizens’ Services website demonstrates that Baldrey was a featured conference speaker. He is advertised as a speaker at events of Reboot Communications, founded by Liberal financial supporter Greg Spievak and he has written regularly for BC Business Magazine, which is owned by Liberal supporter Peter Legge. There is an exciting line-up of speakers and sessions at this year’s AGM. It all starts Thursday, May 22nd, at 11:00 am . . . followed at noon by the Plutonic Power Corporation Delegates Luncheon, featuring the “Cutting Edge of the Leg.” Panel, Live & in Person. The panelists include Bill Good of the Bill Good Show, Keith Baldrey of Global BC, and Vaughn Palmer of the Vancouver Sun. That’s one not to be missed! I think I recognize some of those names and I believe they took the same dog and pony show out to other locations, including ex-environmentalist Tzeporah Berman‘s PowerUp show for despoiling developers. My research did not reveal the amounts of speaker fees paid by Plutonic, if any. We could guess though. One other thing. The website of Baldrey’s wife, Anne Mullens, says that, in addition to ghostwriting, she does contract writing and research for government and private clients. She also has written for BC Business and has done consulting for the Liberal government too. Not that I think the activities of Baldrey’s wife should keep him from reporting but the potential conflict should be revealed. My wife & I were discussing a recent report by Keith Baldrey. She is an intelligent person with a couple of degrees and likes to keep up to date on local & national affairs. She actually shocked me a bit when she said ” Keith Baldrey is really an embarrassment to the profession of journalism, but like his buddy Gordon, he has thick skin and no real morals “. Wow, this from a lady who wouldn't say _ _ _ _ even if her, well you know the rest. By the way, as someone who spent over 12 years in broadcasting, I must agree. Notice that Corus Radio doesn't think the Basi Virk BC Rail case is news either. I wouldn't pay dime to hear any of these yahoos speak, unless I had eaten something toxic and had to bring it up. I do think all these clowns should form a “toastmasters” club in prison somewhere and spend their free time practicing giving speeches to each other. By the way Norm could you e-mail me via the addy at the House for kootcoot, there is something I would like to inquire about via email………nothing super secret (national security NOT involved), just not fit for public discussion really. Baldry, Palmer only print the news they are paid to print. They are not worth listening too, nor read. Along with Bill Good, the now known three stooges are a travesty and a black mark on the news media in BC. Shame on the lot of them as history, even unhistory, will look very poorly on their deeds. They will be found wanting, in a time where brave reporters were sorely needed. Baldry, Palmer, Good, Smith, etc all like blow_ng gordo the impaler. They are cowards, and are on the take. Ask them this one question… If it was gordo's home with a new deck, would there be years of reporting on it? They are a waste of skin. Cowards, as well as criminals, like the ones they protect. Another thought.. was said back in the gangster era in Chicago. The “media” asked Capone (Organized crime) why he doesn't run for major, or congress? His answer… he has many friends in the political (Like gordo the impaler) world, so he did not need to run.